From the moment the House of Caron threw open its doors in Paris in 1904 at 10 Rue de la Paix, it became a mecca for Parisians with a love of perfume. 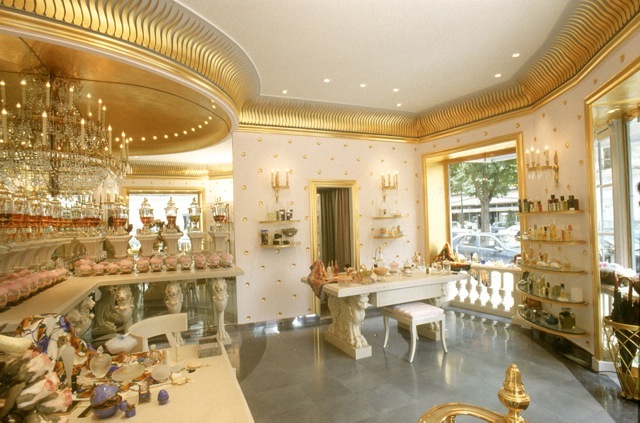 Today, it’s one of the great Paris houses still devoted exclusively to the joys of fragrance. There are no Caron dresses, or handbags: the focus at Caron is simply on perfume – and for that, Caron employs an in-house ‘nose’, Richard Fraysse. 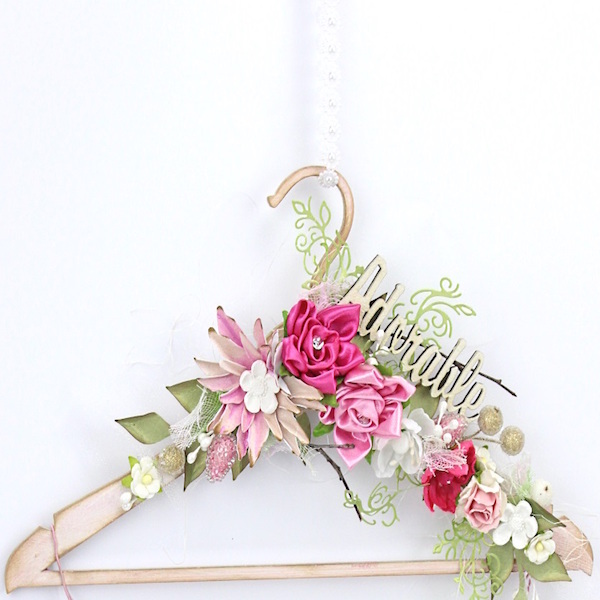 But Ernest’s true ‘muse’ was a colleague, Felicie Wanpouille, a former dressmaker who he hired as the company’s artistic advisor. Felicia was responsible for the extravagant bottle design, the gilded packaging… (Rumour is he was seriously smitten, but they remained colleagues, not lovers…) Whatever the truth, Felicia and Ernest made quite a team, creating some truly iconic fragrances. 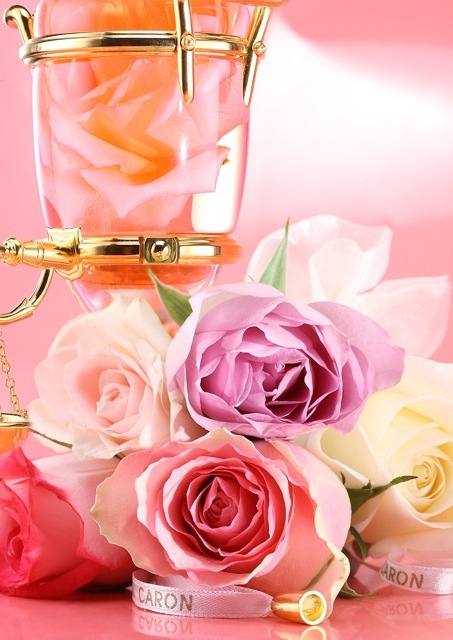 In 1911, a pioneering ‘fruity floral’ fragrance – Narcisse Noir – put Caron seriously on the fragrance map. N’Aimez Que Moi (‘Love No One But Me’) came along in 1916 – a secret expression of the affection between Felicia and Ernest, it’s whispered. And just three years later, the iconic Tabac Blond (1919): truly ground-breaking, designed for the ‘new generation’ woman, who wasn’t scared to flaunt convention, light a cigarette in public, maybe dance on tables… Bellodgia, unveiled in 1927, showcased carnation, and was considered to be one of the finest expressions of that flower’s spicy opulence. 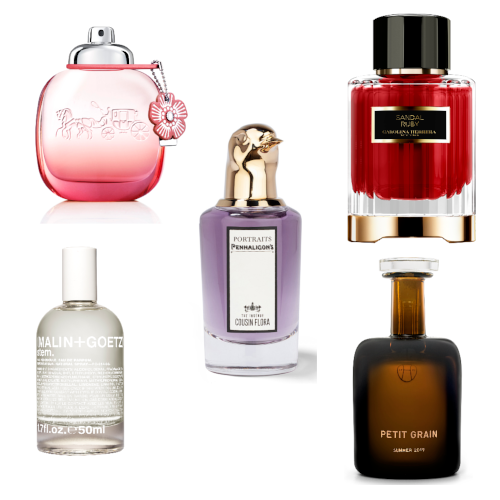 Caron‘s fragrances echoed the spirit of the moment, and became as well-loved in America as Europe. In fact, Daltroff – who was Jewish – was forced to flee to New York in November 1940, to escape persecution. He set up production in the US, to the delight of fashionable Americans. After surviving the roller coaster challenges so painfully familiar to Parisian businesses at that time, Caron – with Felicia at the helm – helped reintroduce luxury and joy to Paris, after the War. She was still in the hot-seat at the helm of the perfume house, until she died at the age of 92. We can’t recommend highly enough visiting a Caron perfumery, or one of the special Caron ’boutiques-within-a-shop’, showcasing the splendid ‘perfume fountains’ which are unique to Caron: Baccarat crystal samovars, from which precious drops of perfume are weighed into bottles, to order. (Read about our visits to Caron‘s Paris beautiful boutique in our Perfume Guide to the Left Bank, here.) 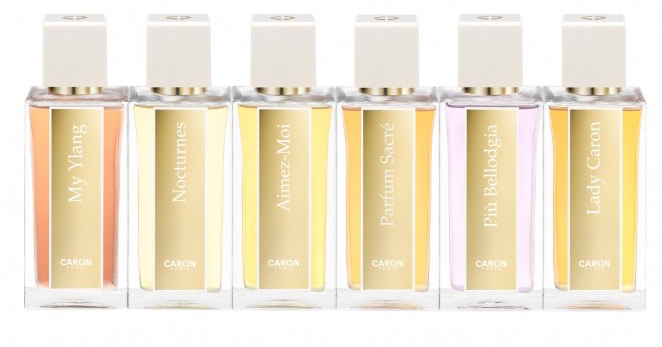 Caron‘s boutiques are temples to femininity: beyond exploring a portfolio of almost 50 fragrances, do also check out the fine-milled luxury powders – produced via a closely-guarded secret process – and the boudoir-perfect ‘dressing table’ accessories. Perfumers who’ve created for Caron include Dominique Ropion, Jean-Pierre Bethouart, Michel Morsetti – and today, Richard Fraysse, the son of André Fraysse, who created Lanvin Arpège. In 1998, Patrick Alès – pioneering founder of the Phyto haircare empire – bought Caron, and since his son Romain took over, new fragrances have been launched which continue the rich heritage of this so-special house, including My Ylang, Parfum Sacré, Più Bellodgia, Nocturnes and Aimez-Moi. Caron – said to be the second oldest perfume house in Paris – continues to work as hard as ever to maintain the quality for which it’s renowned. Its precious concentrates, so we’re told, are still created in Caron’s workshops – and the Bulgarian rose which gives Caron powders their delicate, irresistible floral scent is even distilled on-site.